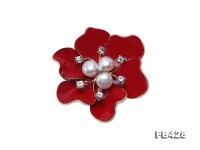 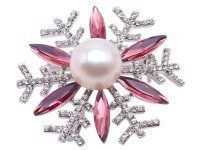 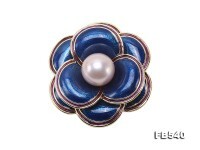 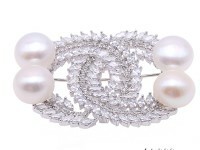 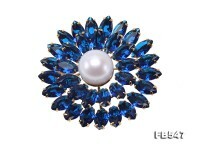 Pretty 14mm white round Edison pearl brooch for sale. 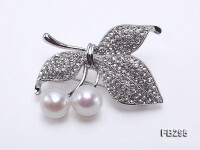 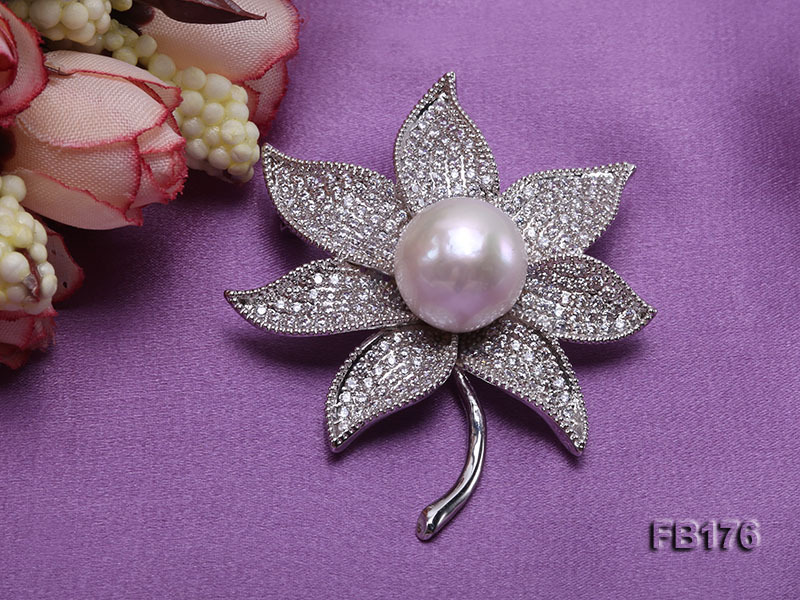 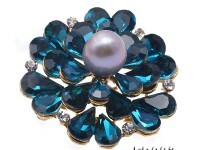 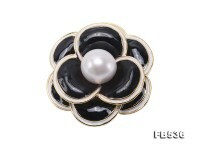 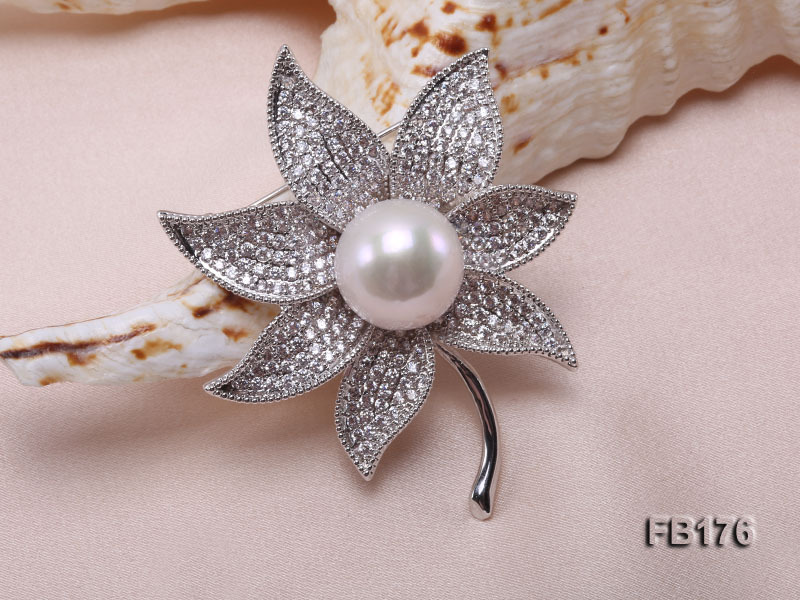 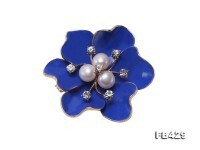 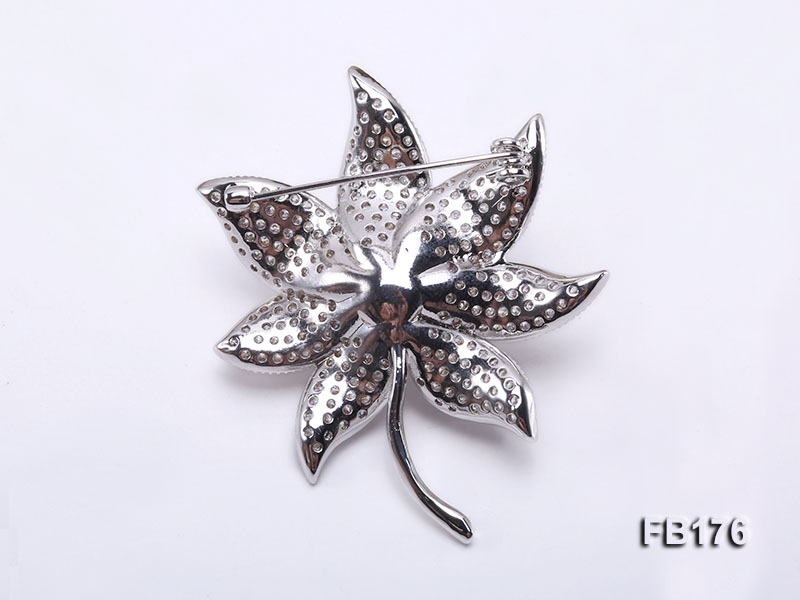 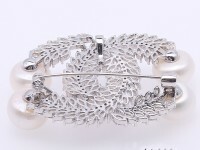 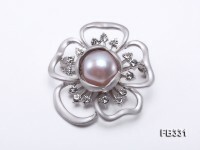 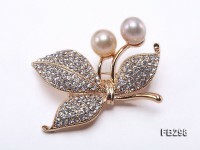 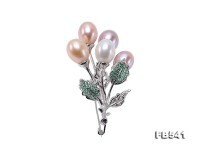 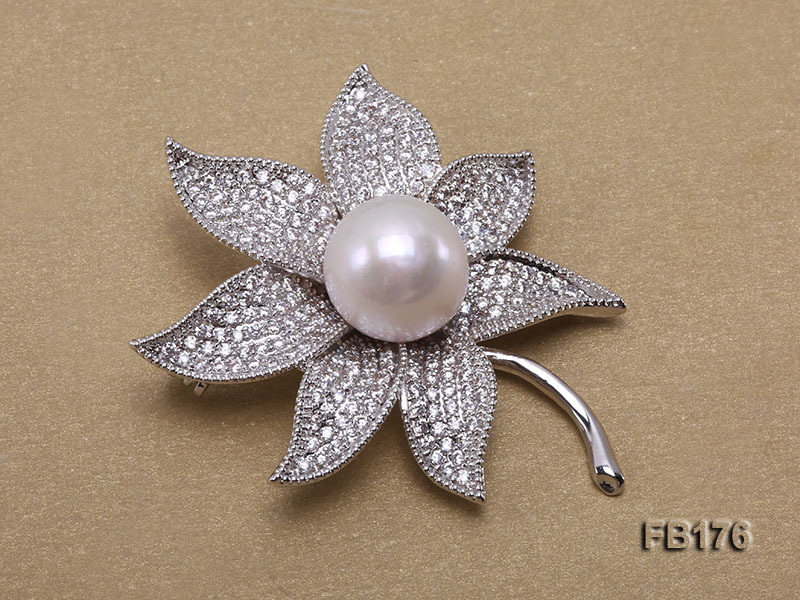 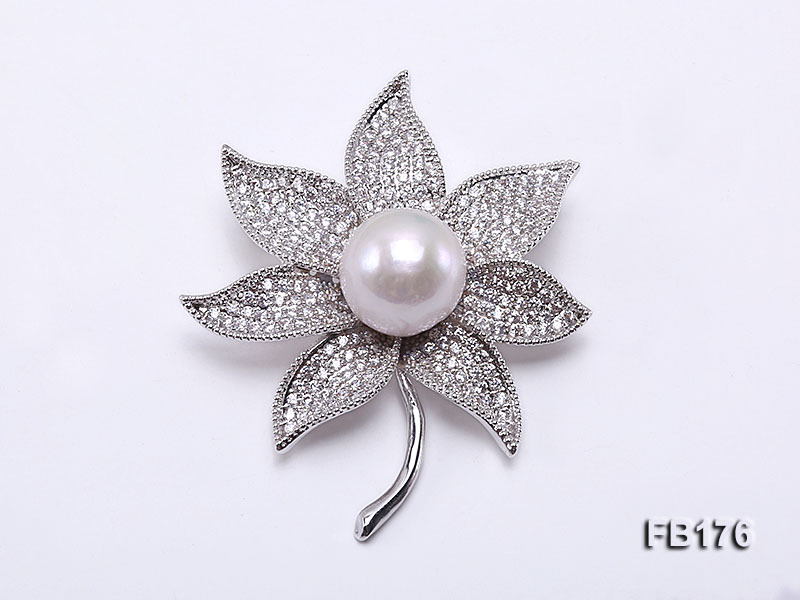 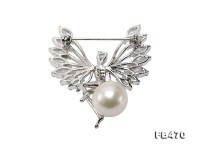 A piece of big-size lustrous Edison pearl is safely set on the flower-style brooch, which is crafted with white alloy and thickly dotted with shiny zircons for decoration. 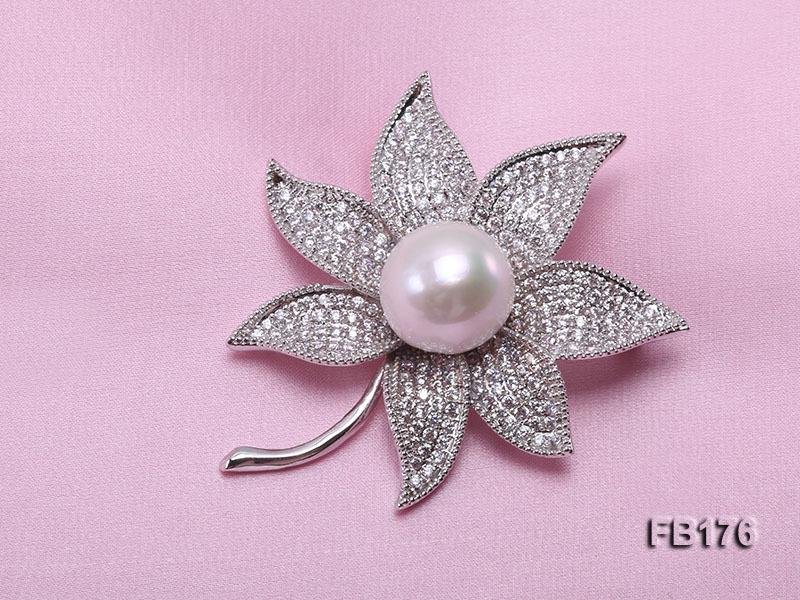 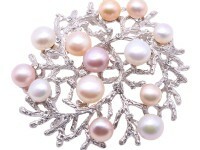 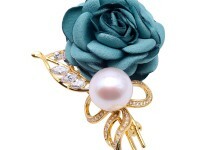 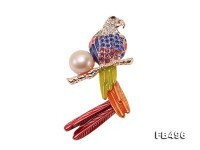 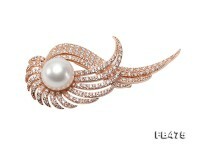 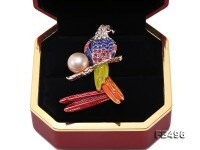 The pearl brooch looks very attractive to wear and far from showy by every detail of delicate craftmanship. 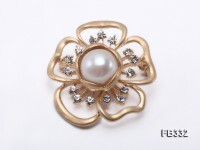 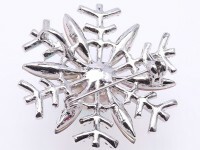 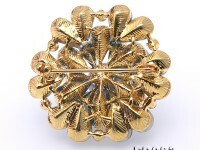 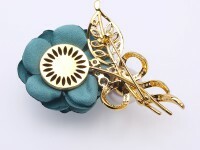 It can be a perfect match with various kinds of coats and dresses, revealing a good taste of the wearer.